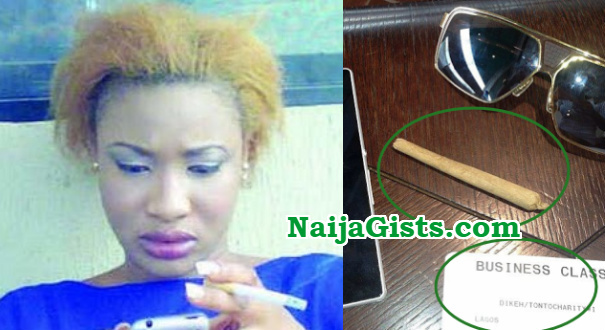 Do you know over 80% of Nollywood actresses smoke cigarettes, drink heavily, while a great number use hard drugs, but what people have not really come to understand are the reasons behind such attitude. Varying from one person to another, there are different reasons why Nollywod actresses indulge in these vices. After an intense investigation, The Tide entertainment arrived at some of the reasons why actresses do it. One of them is friendship or clique. For those actresses who joined the industry before they kicked off as heavy drinkers of alcohol, smokers and drug users, they simply flowed with the wind of the industry they found themselves. To master their environment, they start making friends with other actresses and hanging out with them. Eventually, they work themselves into the habitual atmosphere to really fit into such cliques. Interpretation of movie roles: This is another area that has actually stood as a trap to lots of actresses in being professional about their careers. Actresses are faced with a situation whereby movie roles require drinking heavily, puffing cigars and the dramatisation of the use of hard drugs. Actresses who do not smoke in real life face the challenge of smoking to interpret such roles. As gathered from reliable sources, once the first job is well handled, debased movie roles will start flying to the door posts of these actresses and there is the tendency that they would continue proving their professionalism to the detriment of their former habits. A study on human behaviors and the nature of the brain showcased that such a person would gradually get addicted to the nicotine content of tobacco and will continuously have the brain urge to use it afterwards. Another factor is loneliness. There are certain prices that top actresses have paid for stardom and one of them is loneliness. Once an artiste hits stardom, he or she tends to be withdrawn from people and start missing the kind of places, food, and friends they used to keep in the past. To overcome loneliness those who find themselves in big and posh apartments make the bottle their companion. They use this to brighten up their brain and accept their environment the way it is, rather than thinking and looking for friends who might be hard to find. Being so bored, such people become curious and taste drugs to see now they will feel. Heart break: Over 40 per cent of cases of tobacco usage among actresses are related to emotional problems and failures in relationships. A source revealed that such beautiful ladies who go inducted into the world of tobacco after a shattered relationship consider it as a way of getting solace and comfort. Actresses in this category feel the drugs will make them feel better in their unhappy mood. Some of the actresses see the habit as an adventure just to know how it feels to indulge in them. Our source informed that 20 per cent of the actresses who drink vodka and Hennessy from the bottle and smoke tobacco, started with a sip to know the taste of alcohol and a drug to know the taste of tobacco. From the first choke and cough, they progress to excessive drinking and a gate way to other forms of drugs to get the same effect they got when they started. While others are involved in the habit to ease-off, these actresses have the misconception that the use of drugs will make them have more sound sleep after the stress and pressures of movie locations. 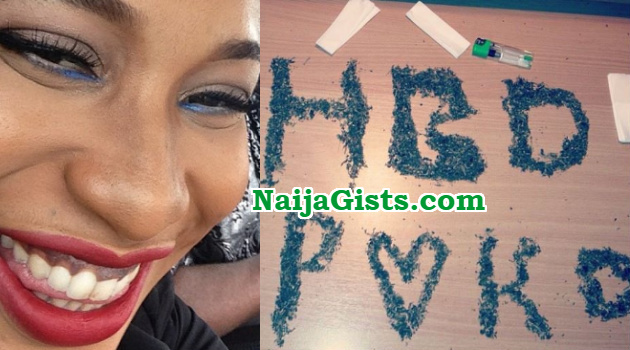 Among these actresses are Halima Abubakar, Rita Dominic and Tonto Dike who confessed recently that she had quit smoking and drinking.